In our latest Spotlight On feature, we chat to Chris Beevers from member and EMCON delivery partner Jackson Hogg Recruitment about their involvement in the event and some of the trends within the engineering and manufacturing sectors. Why is Jackson Hogg supporting EMCON? EMCON is a key event within manufacturing and engineering in the North East and we’ve seen the growth and development of the show over the last few years, as Durham Oktoberfest. 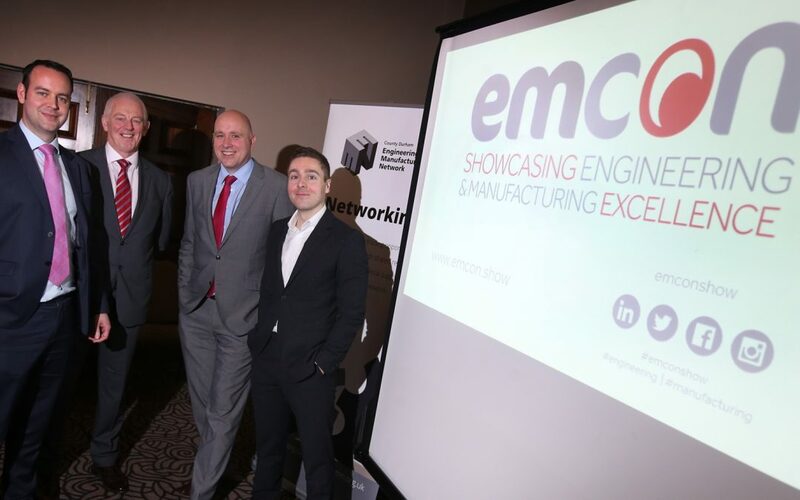 As an affiliate partner of CDEMN and with our strong focus on engineering, manufacturing and technology sectors, we’re delighted to be supporting the newly rebranded EMCON in its 11th year. What will Jackson Hogg bring to EMCON? Over the last few years we have expanded our network not only nationally, but internationally. I think that it is those connections that we have, and our ability to get the right people in the room, that makes us well placed to support this event. What plans does Jackson Hogg have for EMCON? We are currently in talks with EMCON about how we can deliver more tangible results for exhibiting and attending businesses before, during and after the event. These include measures to increase engagement and opening the various networks to all members. Why is Emcon important for the industry? EMCON provides the perfect platform for businesses to showcase the latest products, designs and innovation. It is a prime opportunity for people to engage with the attending businesses directly as well as networking with a wide range of contacts. We’re also aware of a number of contracts which have been won as a result of connections made at the event, which benefits the region as a whole. What are the latest trends in Engineering and Manufacturing employment? With employment levels at such a high, engineering and manufacturing recruitment is in overdrive. Businesses are having to work hard and move fast to get their hands on talent. Competition and demand for skilled personnel at all levels is the highest we’ve seen in some time. What changes have you seen over the last decade? The relationship between external recruiters and business has developed into strategic partnerships, where we support all levels of recruitment and become an integral part of our clients’ strategies for growth. What issues do recruiters encounter in the industry? We are often constrained by the ability to transfer candidates with industry specific skills and experience into a new setting. Clients who are willing to be open minded and look at the underlying raw ability are able to secure good people quicker. What advice would you give someone considering entering the industry? There are a host of career paths you can take into engineering and manufacturing. I believe there is still a gap in the public perception of what a career in these industries can look like and where it can take you. Do your research and speak to friends and family who are already in this sector. Some of the world’s most well-known technology involves products and services based in the North East and anyone who has ambition and drive should consider looking into engineering as a potential route to take. What do you see as the solution to the skills shortage? I think there are two main things that we can do. One is to make the most of the existing talent that is in the market and harness the skills that we have in the region already. The other is to properly educate the students of today around the variety of careers and opportunities in order to attract the top talent of tomorrow into the industry. How do you think Brexit will affect the UK skills market? We are yet to see a huge impact here in the North East. When everything is complete, I have no doubt that the large companies that hire a lot of EU nationals will notice the change, and some of the big employers may experience skills shortages. What is important now is that we work at feeding the market with fresh new talent, so that we avoid this happening.